NEW! 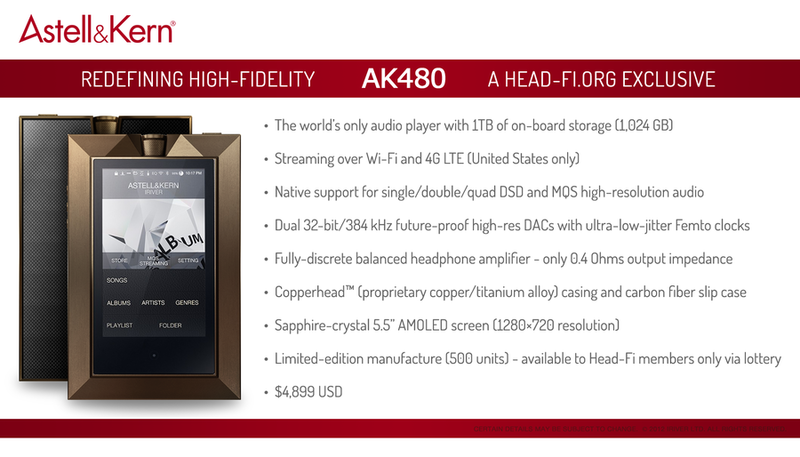 Astell&Kern AK480 Music Player! Seriously, no one realised the date today? Well done to AK if it's true. No Akb480 collab no talk! Even if its real, consumers will still buy. Dang, even if its 10 grand, people will still buy! the 'available only to head-fi members only via lottery' is a giveaway its a joke.. but i do hope they make one. Considering the date today, I think Akimoto Yasushi is not so evil afterall. Looks like my wallet is pretty safe.